We visited Kirkstall Brewery on Thursday, which was a real delight to photograph. The guys working there are a lovely bunch and didn’t seem to mind us getting in the way whilst they went about their work. 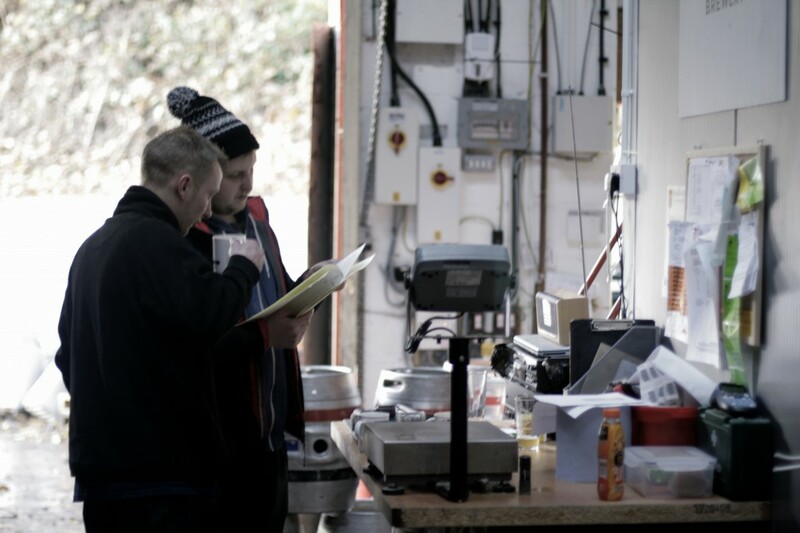 It’s quite a busy workplace with lots going on, brewing the beer, building new tanks, getting deliveries ready to travel the country, cleaning out the returned casks, making cups of tea. I have noticed, without any surprise, how important a good cuppa is in the UK workplace, and unless it’s my fixation with how a nice cup of tea can get me through a stressful shift, I always notice the brewing station, and in the brewery I don’t mean the tanks! Photographing the brewery was quite exciting, there is so much to look at and take notice of, all the little parts that keep the big cog churning. The guys who work for the brewery love their job and talked with passion about their journey, even those who stumbled upon the trade, were happy with their employment. But with any independent business, such as this micro brewery, without that passion the product will fail and lose its charm, and that’s what keeps the interest alive. Our next visits will be to Lez Robinz gents hairstylist and The Great Yorkshireman fish & chips shop. A great British tradition in every workplace. The cuppa!